There are several reasons why a particular printer might impress Papergraphics and become a favourite: quality of output, colour gamut, ease of maintenance, printing speed and return on investment. The Epson SureColor SC80600 ticks all these boxes and more. 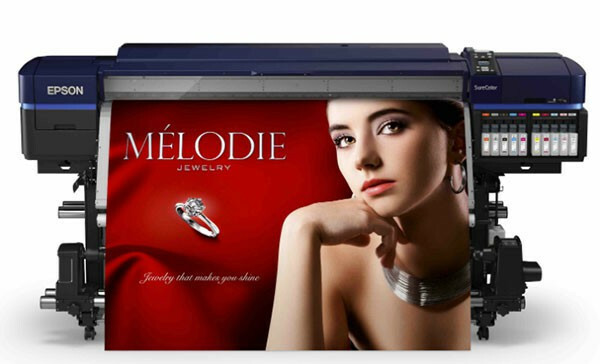 Within Epson Surecolor SC-S Series, the SureColor SC80600 stands out! 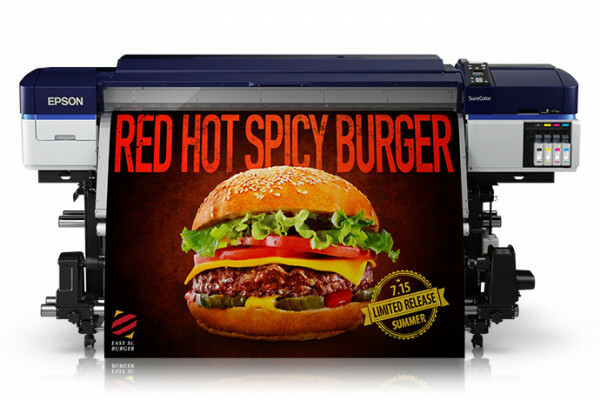 It's an exceptional printer that will deliver professional-quality results on everything from simple signage to high-end displays and décor on a wide range of substrates including clear film, vinyl, canvas and photographic paper. Run on the Hexachrome eco-Solvent ink technology that adds red and orange to the CMYK set, the colour gamut is massive and the printer matches Pantone and RAL colours with an accuracy of 99.7%. It also has a spot-colour channel to allow you to use either white or metallic silver inks that are re-circulated within the printhead to make sure that they are ready for use when you need them. The quality of output is comparable to a high-spec photo printer and the speed of printing is that of a true production machine. It can be safely left to print overnight with no media tracking issues and it's pretty frugal with ink consumption too. Panel length is remarkably accurate and consistent, and it does all this with just 5 minutes of maintenance a week. Impressive! You'll find the manufacturer's marketing material at the bottom of this page; including datasheets, videos and photos — however, if you’d like an independent expert view, and would know more about the SureColor SC-S Series or want us to set up a demonstration for you – please give us a call. 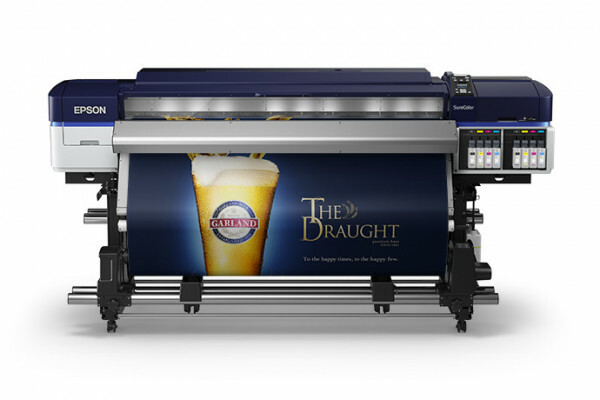 An entry-level all-rounder that perfectly suits anyone wanting high print quality but low purchase cost. Ideal for busy production environments, this mid-range signage model is ideal for those who need to print high volumes with a quick turnaround. This top of the range printer uses an ink-set with red and orange for a wide colour gamut. It also offers and expanded set of capabilities with the use of white/metallic inks. A new way to create everything from simple signage to high-end displays and décor on a range of substrates. Every single component of these printers has been designed and manufactured entirely by Epson to ensure seamless operation and guarantee professional-quality results.